NEOX has been an actively participating in the business of clinical studies since 2004. Large clinical trials of human medicines, especially in phases II-III, were the original field of expertise of NEOX, and to this day remain its primary focus. Over the time, NEOX’s scope of activity has expanded, not only in terms of regional coverage, but also in terms of the type of study and services rendered. These days, NEOX’s activities can be described by the following chart. The table below highlights our experience in oncology trials. 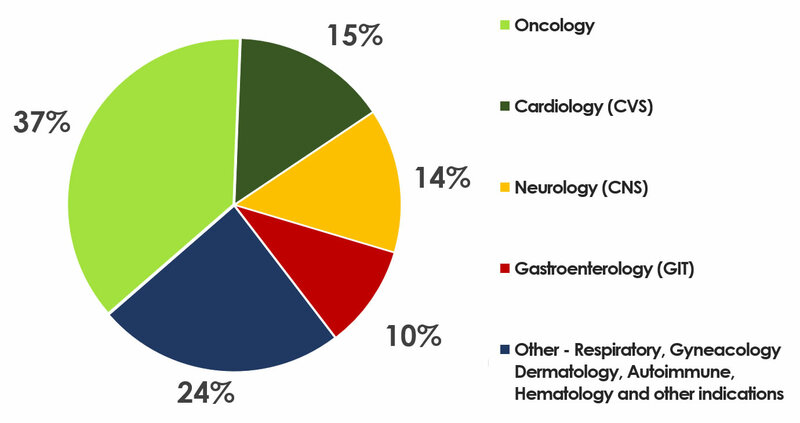 In general, oncology trials form a substantial part of our activities. We have broad experience in a wide range of therapeutic areas including, but not limited to, cardiovascular, dermatology, endocrinology, gastroenterology, hematology, infectious disease, neurology, oncology, ophthalmology, respiratory, rheumatology and urology. Our expertise includes also the management of pharmaceutical trials in a variety of rare disease indications or patient’s populations. Our dedicated medical device team understands the unique requirements of medical device studies and has a long term experience in providing our clients with a full range of services in this area.